Prior to surgery, you should inform your doctor about all the medications you are taking, so that your doctor can decide if any medications can interfere with the procedure and ask you to stop using it. You will be asked to stop using aspirin, inflammatory and herbal medications before surgery as they can lead to bleeding. Your surgeon may also recommend a strengthening program, which includes exercises to improve your strength and flexibility prior to surgery to help you in your post-operative recovery. Before you go for your surgery, it is advisable to plan for coming home from the hospital. After your surgery, you will be taken to the recovery room where your vitals will be monitored. X-rays will be taken to determine the success of the surgery. Once you are in a stable condition, you will be sent to a hospital room. Drains will be removed and you can start walking depending on your comfort and surgeon's advice. Your physical therapist will help you move around better by teaching you certain post-operative hip exercises. You will be discharged around 5 to 7 days after the surgery. Your doctor will give you a recovery plan that you should follow for the best outcome. 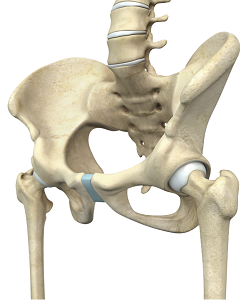 During the first few weeks at home, you should take care of your operated hip. You should avoid crossing your legs while sitting or standing, and do not allow your knees to come higher than your hips. Also, avoid sitting in low sofas or chairs. It is always helpful to have some assistance while walking. Your doctor may recommend you continue the post-operative exercises until your complete recovery. It is important to keep up your three, six, nine month and annual follow-ups with your surgeon.